Parents with kids eager to brave the outdoors don’t have to leave the City to find ideal sledding spots. We’ve rounded up a host of places where you can challenge the local powder for FREE. Safety first though, so be sure to check surroundings for sticks, rocks, and more, and wear a helmet and proper snow gear to keep warm. Bring your own equipment to these snow-covered destinations and be ready for some fun. Don’t forget to check our Winter Fun Guide for more ideas on winter entertainment for your family, whether the weather outside is frightful, or delightful. 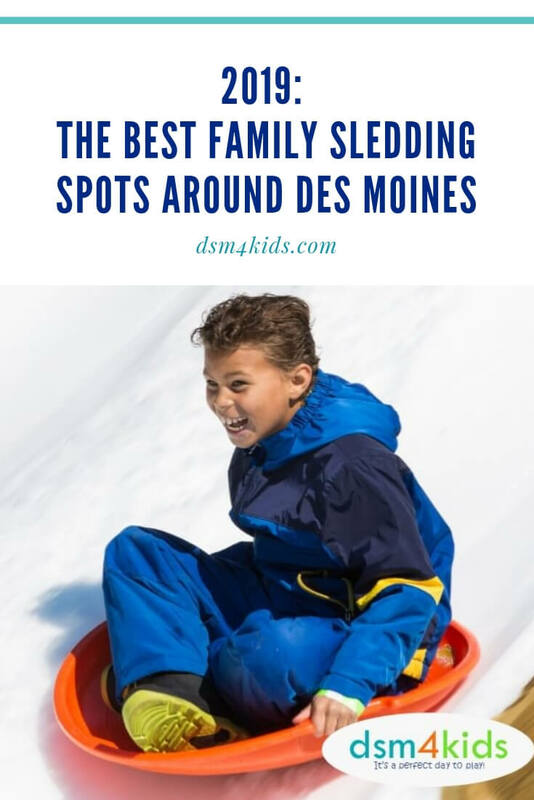 What’s your family’s favorite sledding spot in Des Moines? Share it so we can check it out too!